Do your fish-free South Asian dishes taste like they're missing something? 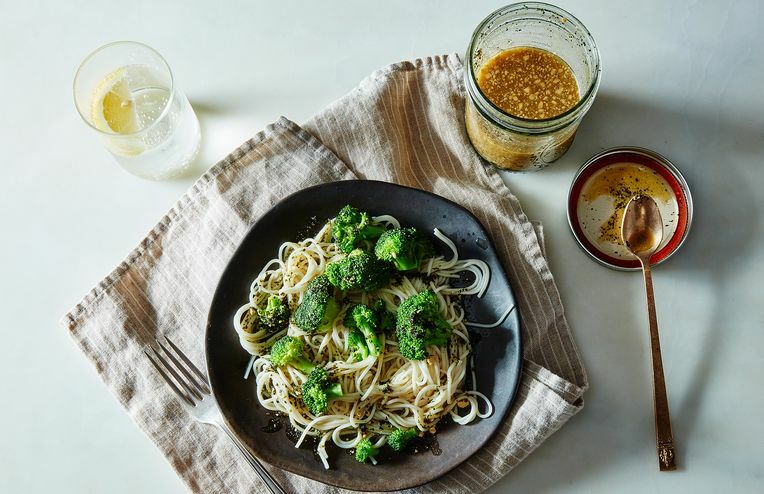 Vegan fish sauce is your answer. DIY blends worth their salt. Go nuts for homemade corn nuts. Carey Nershi shows us how to make peanut butter cups miles above the competition. From homemade dishes to meditations on bread, Alana Chernila's new cookbook has just the thing. In one 4-minute video, KatieQ’s mom gives us so many helpful, poignant tidbits on baking challah. The perfect, punchy little ravioli dish. Scent your home in a natural, inexpensive way—and with whatever fragrance you like (sorry, cucumber melon). How to make the perfect cheeseburger, from bun to beef and everything in between. Betty of Le Jus D'orange demonstrates how to make fresh, chewy knife-cut noodles like a pro, complete with a stir-fry recipe to use them in. Shelly from Vegetarian 'Ventures shows us how we can have the delicacy that is mascarpone cheese in 10 minutes, using just 2 ingredients. When you need a Valentine's Day gift that's so last-minute that you don't have time to run to the grocery store, these chocolate-coated peanut butter balls are your answer. It's time to put down that store-bought jar. Lori Baltazar of Dessert Comes First shows us how to make a spread that's delectable every step of the way, from cookie to butter. We're taking our holiday cookies off the kitchen counter and replacing them with 13 savory favorites to reboot our post-holiday taste buds. New Year's Eve isn’t associated with food as much as it is with Champagne, but these ten easy DIY snack recipes may convince you otherwise. Even if you're a holiday dessert traditionalist, you should still debut this treat on your cookie and candy tray. It's minty enough to pass as a palate cleanser, and that means more dessert for you. Prepare to grab fistfuls of these chocolate-dusted salty-sweet almonds by Laura Wright from The First Mess. No insects were harmed in the creation of grasshopper pie. It's chocolatey, pepperminty, and waiting to grace your holiday table. Grab a tall glass of milk and get ready dunk a few homemade donut holes.